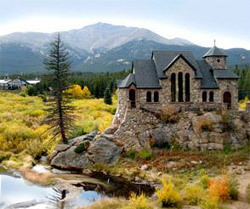 Camp St. Malo Visitor and Heritage Center is a beautiful retreat located about 20 minutes south of Estes Park on State Highway 7. Pope John Paul II visited the center in 1993. 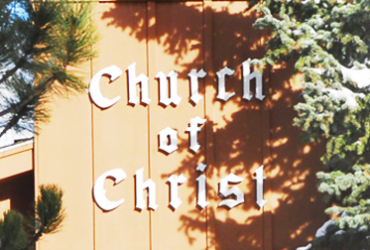 Unfortunately, their main building suffered a devastating fire recently, followed by a flood just a few years later, so the center is undergoing extensive renovations. The beautiful Chapel on the Rock, visible from the highway, is well worth a visit. Also called St. Catherine of Siena Chapel, the Chapel on the Rock at Camp St. Malo is open everyday from 10:00 AM until 4:00 PM except during weddings. For more details about using the chapel for your own ceremony, contact the local parish, Our Lady of the Mountains Catholic Church.